Alejandra Ancheita is the founding Director of ProDESC. For over 15 years she has worked with migrants, workers, and indigenous communities to protect their land and labour rights vis-a-vis transnational mining and energy companies. These disputes have included violent attacks on those she is trying to protect. 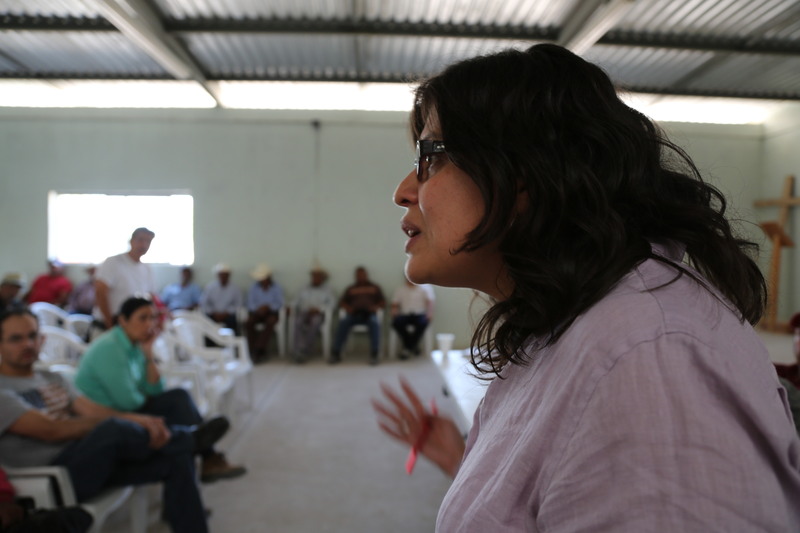 She is also one of the pioneers in seeking accountability for transnational companies in Mexican courts when local communities’ rights are not taken into account. In Mexico, there is a clear pattern of attacks, threats, criminalization, and murders of human rights defenders. Ms Ancheita and ProDESC have been subjected to surveillance, a defamation campaign in the national media, and a break in at their offices. Cao Shunli (China): She died in Chinese custody on 14 March 2014 after being denied medical attention for known health conditions until too late. Since 2008, she advocated for access to information, freedom of speech, and freedom of assembly. This is a tragic example of reprisals suffered by human rights defenders who work with international human rights mechanisms. The Jury expressed in a special message their sorrow and anger about her death and hope that she will be remembered. The Chair of the Jury asked for one-minute applause to celebrate her life and contribution. The money that comes with her award will go to a special foundation in her name. Adilur Rahman Khan (Bangladesh), Since the 1990’s, he and his organization Odhikar have worked on human rights issues such as illegal detention, enforced disappearances, and extra-judicial killings. They face closure since Donor funds destined for Odhikar are being blocked by the Prime Minister’s Office. Personally he is facing prosecution for documenting the extrajudicial deaths of 61 people during demonstrations. Web: www.martinennalsaward.org for press releases in other languages. This entry was posted on	October 7, 2014 at 19:31	and is filed under awards, human rights, Human Rights Defenders, MEA.